Whether you are seeking an addition to your family, or the dissolution of marriage, it is wise to seek the counsel of an experienced Ontario, California, family law attorney. No matter how complex or positive your situation, the legal system can seem daunting. A knowledgeable lawyer can guide you to a successful resolution in the most efficient manner possible. At the Law Offices of Sherrie L. Davidson, Inc., we have extensive experience guiding clients through a wide array of family law matters. Clients rely on us for a thorough evaluation of their situation, and our ability to develop a strategy that is uniquely tailored to their specific needs. 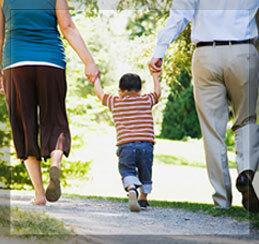 Whether your family law matter will require mediation or courtroom litigation, our attorneys are here to help. It is important to consult with an attorney as soon as possible in your situation. Your lawyer can listen to the facts of your case and provide valuable insight into the obstacles you might face, and your best course of action. Contact us today. If you have questions regarding family law or surrogacy, schedule a consultation with an attorney at the Law Offices of Sherrie L. Davidson, Inc.. We can be reached at 909-937-0099 or through our online contact form on this website. Our normal office hours are Monday through Friday 8:30 a.m. to 5 p.m., but we are closed for lunch from noon to 1:30 p.m.